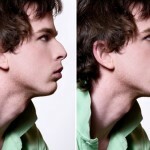 Rhinoplasty is a popular plastic surgery procedure. It is estimated that around 350,000 nose surgeries are performed alone in America annually. The procedure is performed for both cosmetic and health purposes and for that reason it is considered similar to breast reduction. Remember that plastic surgeries that are performed for medical purposes can be claimed for insurance cover. Rhinoplasty is one of the most critical cosmetic procedures, and it becomes most important that you find the right surgeon with considerable rhinoplasty experience to get the considerable favorable results. A good rhinplasty surgeon is a good patient listener, effective communicator and a compassionate caregiver. A careful and conscientious research is necessary as many a surgeon fall short meeting these criteria. And failing to investigate about your surgeon means a gamble to your face. 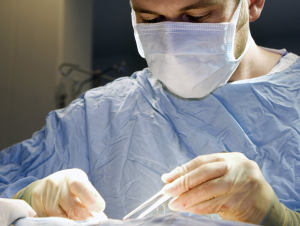 Plastic surgeons are certified by the ABPS (American Board of Plastic Surgery). Facial plastic surgeons specifically can also be certified by ABFPRS or ABO. However, board certificate is not a guarantee for successful results. Surgeon’s skills are result of various factors including certification, frequency, use of latest technology, complexity of the surgeries, and more. Unquestionably you would not want to handover you face or nose to a physician with a history of disastrous surgical outcomes and willful negligence. You can contact the state medical board to get the list of malpractice activity as a first initial step in the selection process. In general, a surgeon who specializes in a particular niche tends to develop greater skills and interest in that subspecialty. And that result in consistent surgical outcomes. There are several methods to help credentialing rhinoplasty surgery, including otolaryngology, plastic surgery, oral surgery, and facial plastic surgery. Each has its merits and demerits and no educational pathway guarantee on quality outcome. 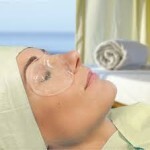 Word of mouth endorsement is another reassuring sign of quality rhinoplasty surgeon. But they must be from reliable friend and family members. Favorable bedside manner, positive surgical outcome, follow-up care and responsiveness to patient concerns are always reassuring. Along with that when multiple word-of-mouth endorsements are taken into account from various independent sources, the level of reliance rises. However, you need to be careful here –do not compare oranges to apple, meaning a good facelift or breast augmentation does not always equate to good nose job results. 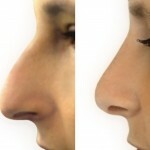 Be sure that you are getting all the endorsement for a reliable rhinoplasty surgeon. Recently, online forums and internet message boards have become popular source of word-of-mouth referral information. The good thing about these websites and message boards is that they have been greatly promoting patient awareness, generating virtual support network and most importantly exposing incompetent practitioners. However, there is growing downside of fraudulent postings, character assassination and misinformation with an increasing frequency. Nose jobs are challenging and the results can be dependent to quality of rhinoplasty surgeon as well as age, health and ethnicity of patient. A reputable specialist always prefers simulation at the time of initial consultation to ensure that the patient is aware of the scope and limitations of a nose surgery. 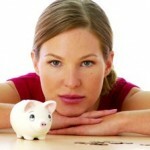 How to Finance Your Rhinoplasty?